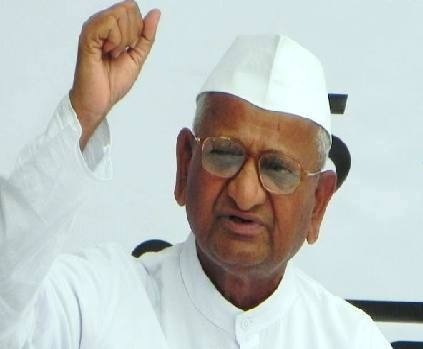 After the protest against the dictators in middle east , Riots in London , and the unrest in Libya and Greece Its now India’s turn with massive protest happening against corruption in India led by activist Anna Hazare. Indian anti-corruption activist Anna Hazare has called on the government to pass a new anti-graft(corruption) law or quit.Anna Hazare has been on a public hunger strike since last Tuesday and Thousands of supporters are gathered in the capital Delhi, where Mr Hazare is conducting his fast. Mr.Hazare has gained massive support from the poor and middle class who are disillusioned with the chronic corruption In India. The inflation and rising grocery prices in India has also created dissatisfaction among many of the poor in India. Anna was arrested previously and then he agreed to a police offer permitting him to go on hunger strike for 15 days with a deal with the current government and Police. Anna Hazare has inspired Thousands of people who are fed up with the corruption in India and also joined his rally in support of Mr Hazare in different parts of india like Mumbai (Bombay), cities of Lucknow, Chandigarh, Ahmedabad and Surat. Mr Hazare says the government’s proposed anti-corruption bill is weak and wants his own tougher version to be passed by parliament. The Jan Lokpal bill is a civil society-backed version of the government’s Lokpal bill.A recent survey said corruption in Asia’s third largest economy had cost billions of dollars and threatened to derail growth. "The youth are our national power. 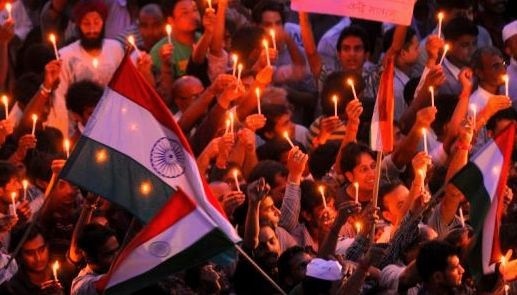 … And what I find significant in this ‘revolution’ is that the youth are standing behind it," Hazare told a crowd on Sunday. "I request the citizens of this country to hold sit-ins at the homes of parliamentarians from their areas to make them give a written commitment for the Lokpal," he said. 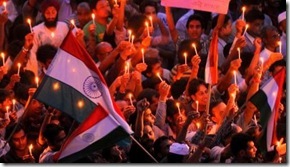 A constitutional expert Subhash Kashyap said "Mr Hazare is well within his rights to hold protests. But to say, ‘You accept my bill and nothing else,’ might amount to coercing the government and parliament. A leading civil-rights activist, Arundhati Roy commented on Hazare’s campaign. "I think (Hazare) is ill-advised. Anyone who says, ‘My view should be the only view,’ is wrong," said Roy of the National Campaign for People’s Right to Information.